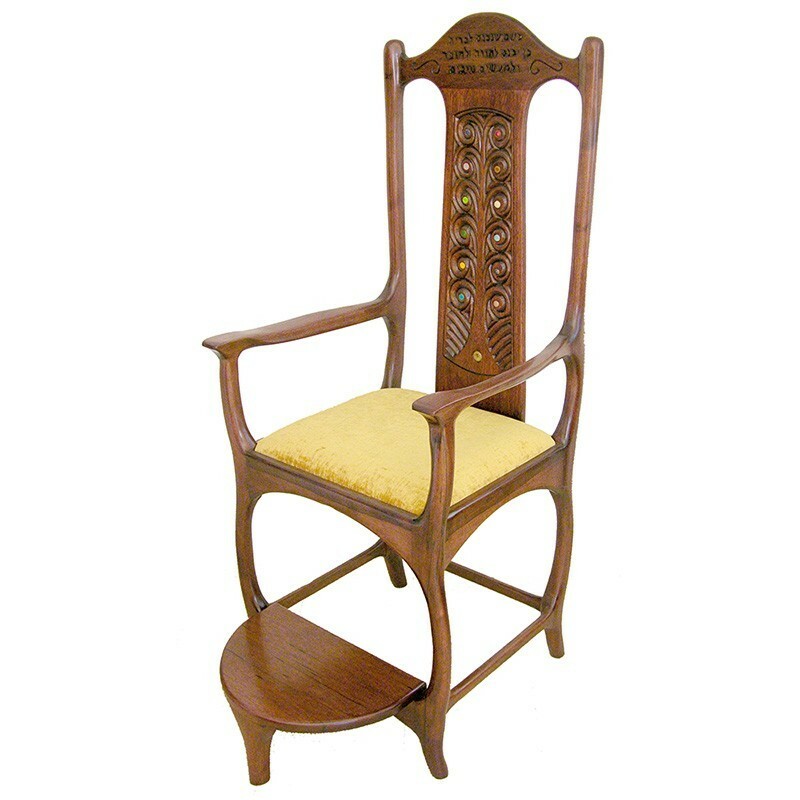 This contemporary solid wood elijah’s chair with carving demonstrates the attention to detail put into each piece of furniture at Bass Synagogue Furniture. 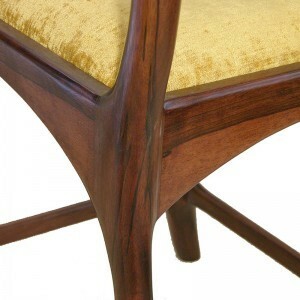 Inspired by such chair craftsmen as the school of Sam Maloof, this uniquely designed chair is elegant and strong, for generations to cherish. The carving on the back of the chair represents the tree of life. 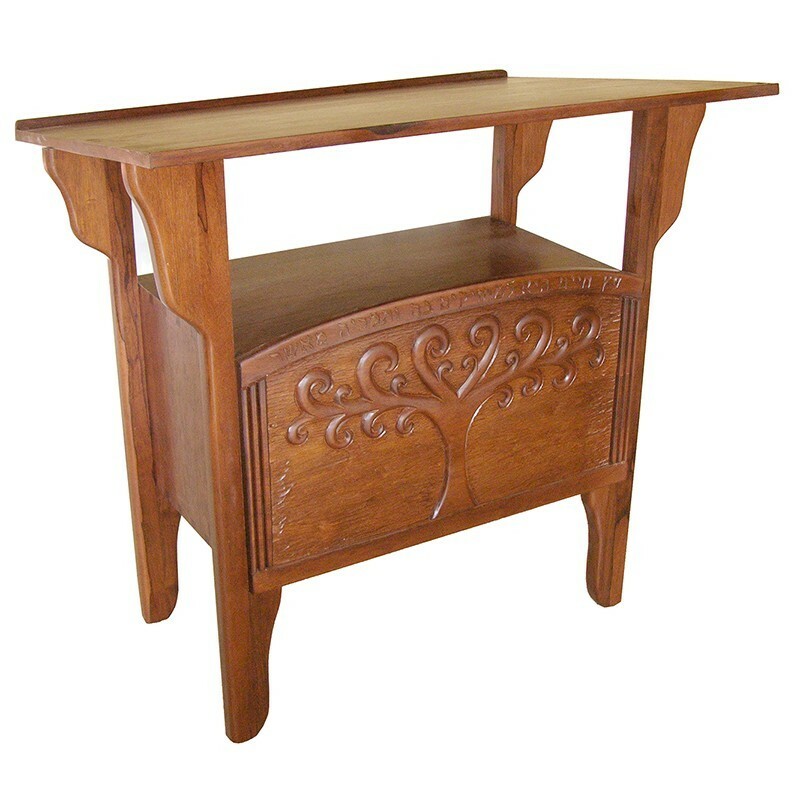 The twelve tribes are inlaid in hand made glass of various colors. 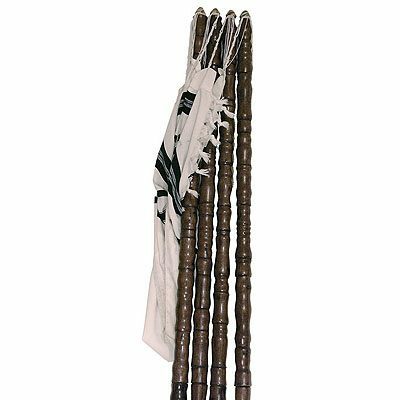 Across the top reads the pasuk from the the Brit Milah ceremony. 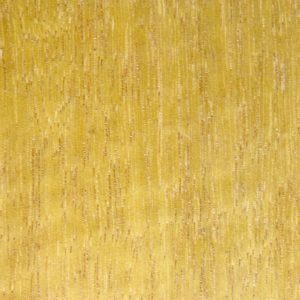 Featuring deep mortise and tenon joinery for longevity, and a durable lacquer finish for durability. 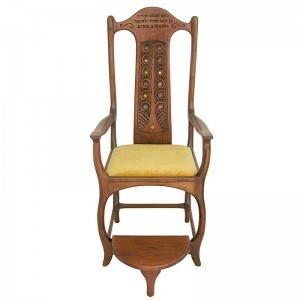 Bass Synagogue Furniture designed this Elijah Chair in the contemporary craft style. 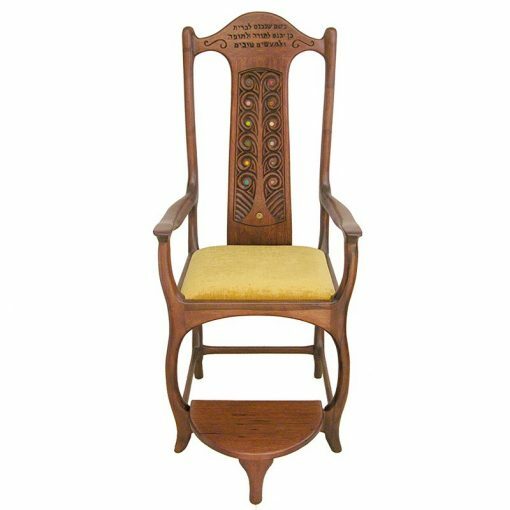 Elijah Chair features handcarving in a tree of life design with glass inlays to represent the Twelve Tribes of Israel. 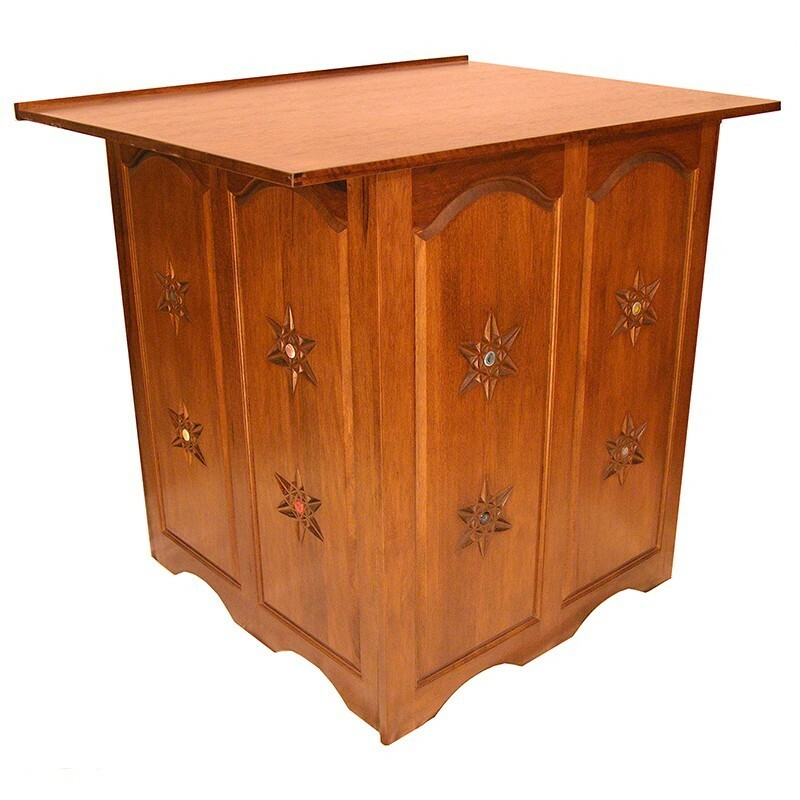 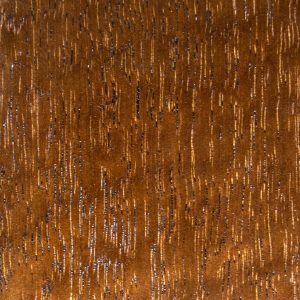 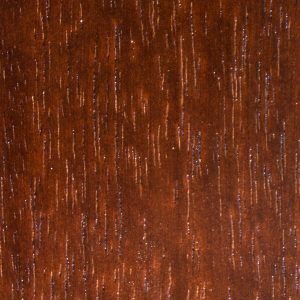 Made from African Walnut with a dark walnut stain and finished with a durable lacquer. 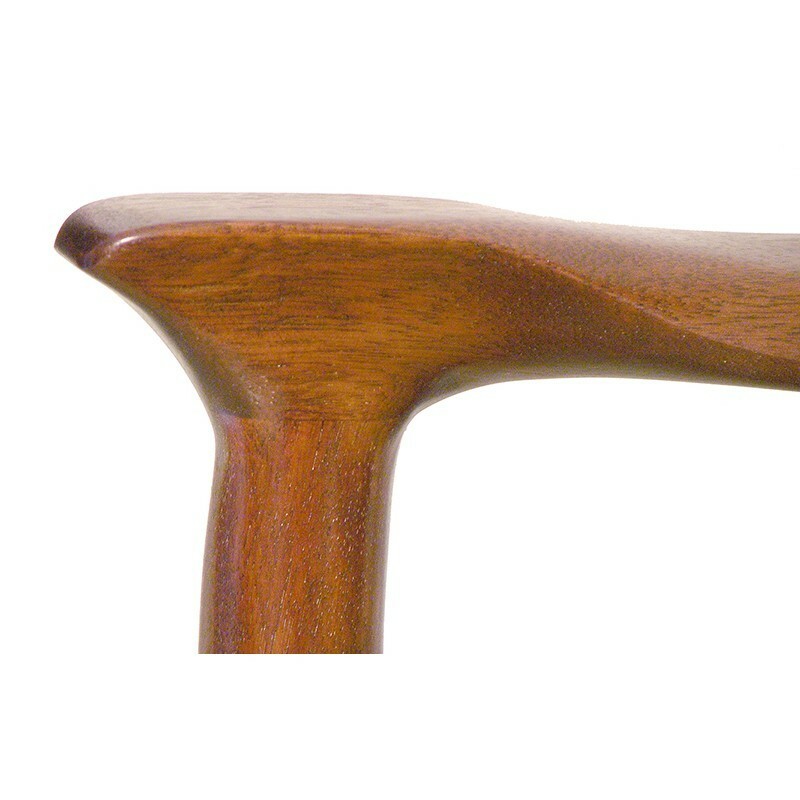 Legs joined by use of our patented mortise and tenon finger joinery to last for generations.This unique Kise Eliyahu is currently available for sale. 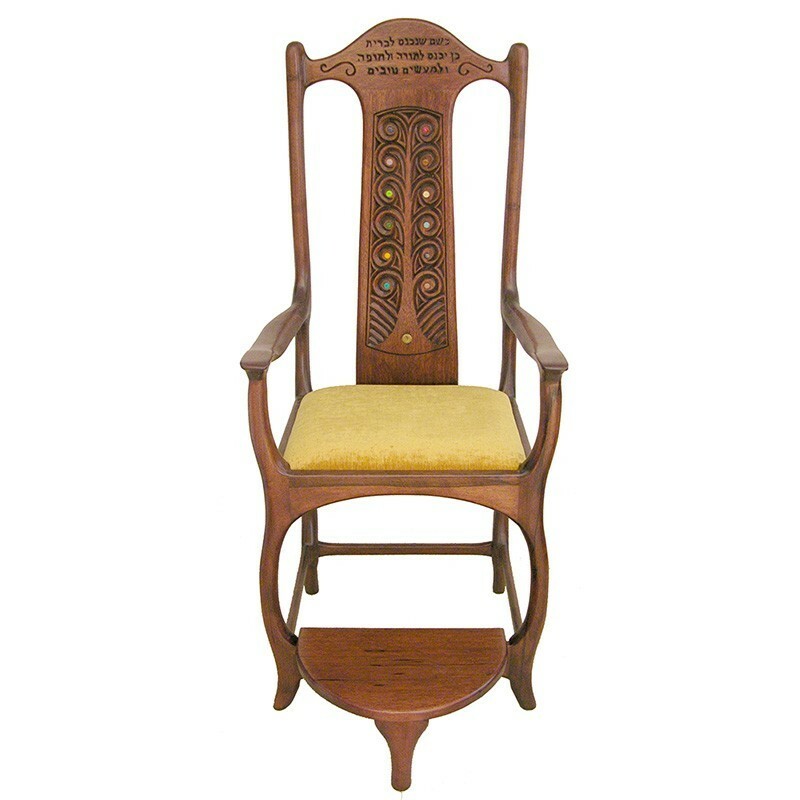 Please contact the office for more information on the Tree of Life Elijah Chair or custom options.